Total construction spending in July was estimated at a seasonally adjusted annual rate of $1.15 trillion. Residential construction was at a seasonally adjusted rate of $445.5 billion in July. This is 0.3 percent above the revised June estimate ($444.0 billion). Less than 65 percent of homeowners surveyed said now is a good time to buy. Just 38 percent of renters surveyed said now is a good time to buy a home. 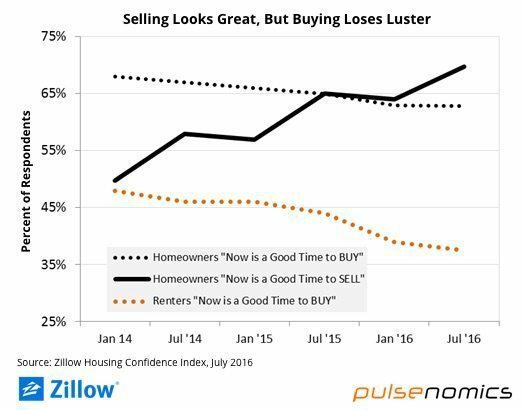 Out of every 10 homeowners surveyed, seven said now is a good time to sell a home. 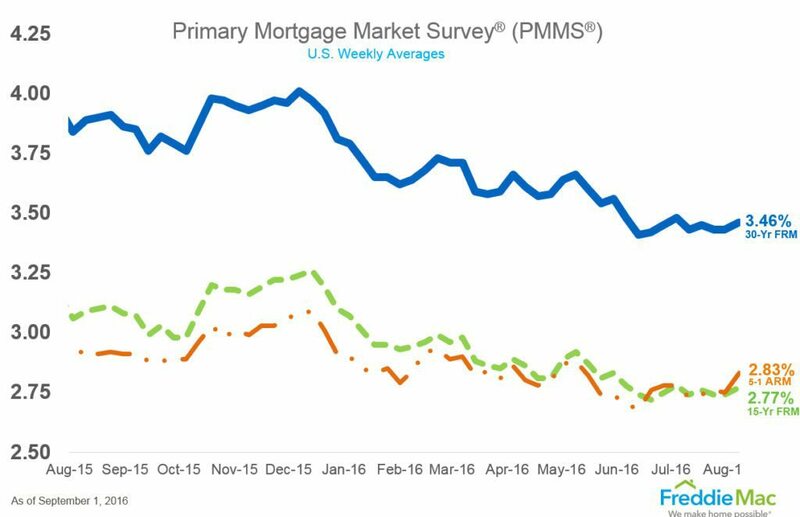 The rates for 30-year fixed-rate mortgages were an average 3.46 percent with an average 0.5 point for the week ending September 1, 2016. Last week, the rate averaged 3.43 percent. A year ago, the rate averaged 3.89 percent.